We’re 20 days into 2019 and I hope everyone’s year is off to a good start. So far, so good for me. A few weeks ago I made my first post about going gluten- and dairy-free. You can check it out here, if you’d like to get fully caught up with this decision. But here is a quick recap. This was a decision in the making and was solidified after I got some blood work. Not great, but not bad. And having said that – The Plan. It’s been 3 weeks and let me tell you it has not been easy. At the time of this writing I have a crazy hankerin’ for pasta and for the first week I had a headache. Not a bad headache, just an annoying one; which I attribute to the dietary changes. Prior to making the decision to go gluten- and dairy-free, I spent a lot and I mean a lot of time researching the diet and trying to come up with something that I would enjoy. 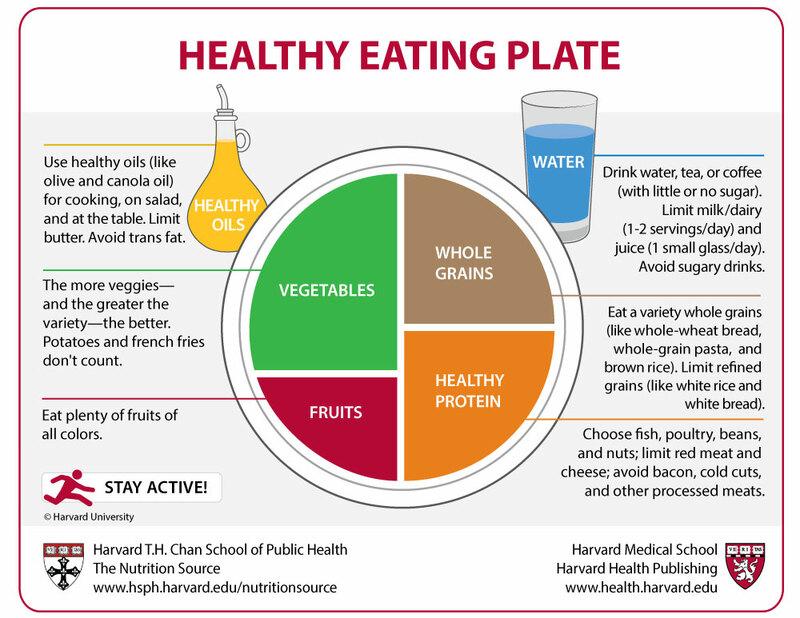 I decided what better place to start than with the updated USDA Food Pyramid; which led me to Choose My Plate. It is helpful, but there was one big problem. 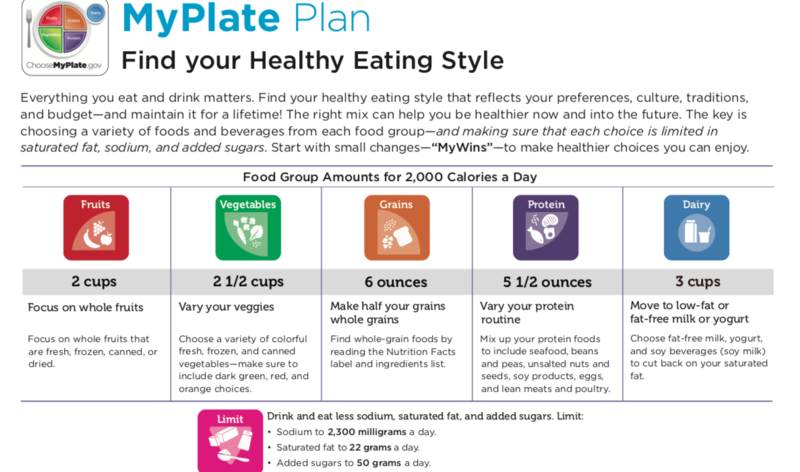 Once I calculated My Plate Plan it requires me to have 3 cups of dairy per day; which doesn’t go over very well with me since I’m eliminating it from my diet because of my asthma and being lactose intolerant. And after all that research I created a menu and grocery list for the week. Needless to say I didn’t follow the menu at all. Not one bit, but I think I did okay. There were a few slip ups, like a few slices of cake and I went out with friends and had burger, but all-in-all it went well. Here are a few things I ate. . . I wish I had pictures for you, but I’m not much into plating for pictures. I’m more of plating for eating kind of person. These 3 weeks came with a few surprises. It appears that I have lost 7 pounds, my clear the room gas seems to be dissipating, my stomach is a little flatter, and I seem to have a little more energy. One of my favorite things to eat is Mexican Egg & Sweet Potato Hash. Oh. My. Gosh. it’s so good and it’s versatile. You can make it Vegetarian or Pescatarian or with sausage or chicken. Think of it as an omlett with all your favorite ingredients and just mix in sweet potatoes. Heat the olive oil in a skillet over medium-high heat. Add the sweet potatoes and cook, stirring occasionally, until browned and tender, about 8-10 minutes. While the potatoes cook, whisk together the eggs, salt and pepper. Once potatoes are tender, reduce the heat to medium-low. Pour eggs over the potatoes in the skillet. Cook, gently pulling the eggs to the middle of the pan. When the eggs are almost set, remove from heat and sift the nutritional yeast over the eggs and stir it in. 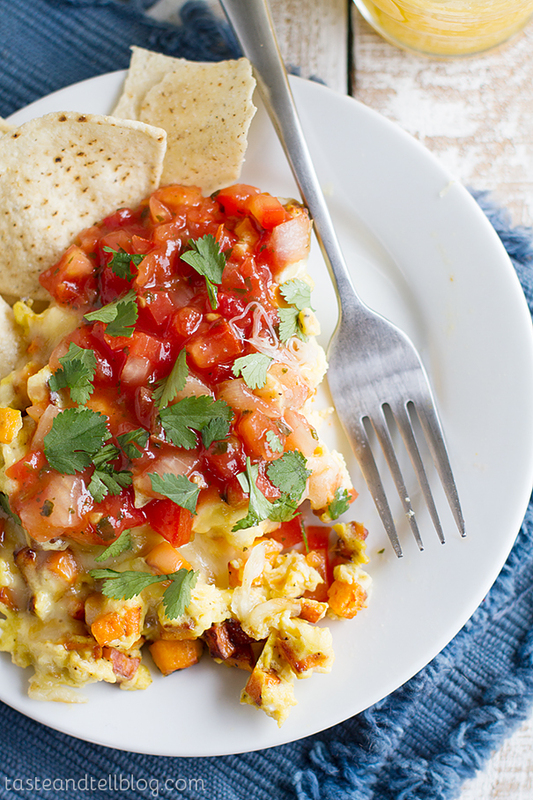 Serve the eggs and potatoes over the tortilla chips, and top with salsa and cilantro. *Nutritional yeast comes from a species of yeast known as Saccharomyces cerevisiae, and is dairy-free and usually gluten-free. As a result, it can be a useful supplement for people with food allergies or sensitivities, as well as those on restricted diets. 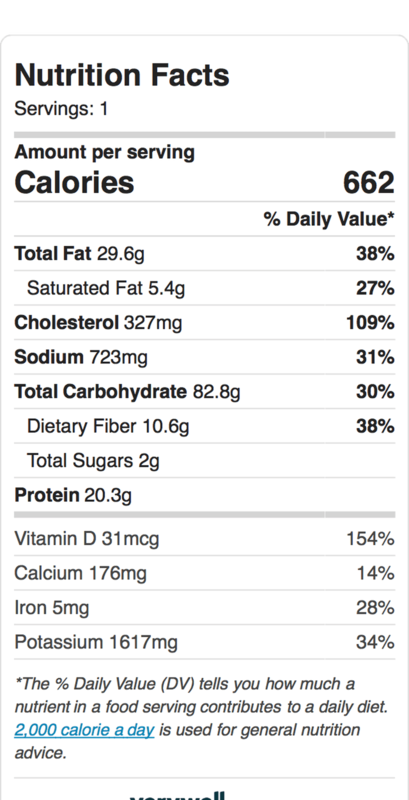 It is also low in fat and has no sugar or soy. You can use nutritional yeast the same way you use grated cheese.